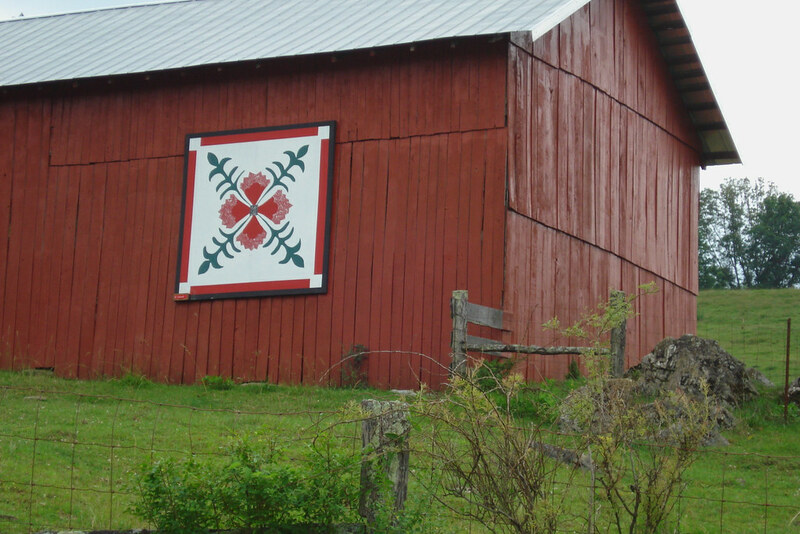 After I’d read about a Quilt Trail in far Northeastern Tennessee, friend Doris and I decided to take a “spur-of-the-moment” trip in early June. We never made it to the section of Tennessee I’d read about. These photos were taken over two days in Jefferson County, Tennessee. A kind hostess in the county’s visitors bureau provided a brochure that had both addresses and GPS coordinates of buildings that had quilt patterns painted on them. Without using those coordinates, we would have never found all these locations. We visited some where taking a photo was impossible; a couple we never found. However, we visited and photographed approximately 40 of the 60 places listed in the brochure. To view a slideshow of all of the quilts we photographed that were painted on various buildings, click on one of the photos. Not painted! 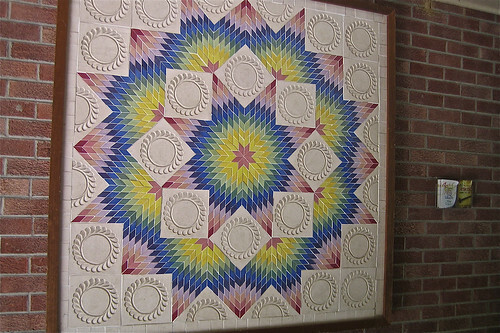 This quilt pattern is made of small ceramic tiles, a beautiful creation. This design was painted on a barn. We found designs painted on all types of buildings.